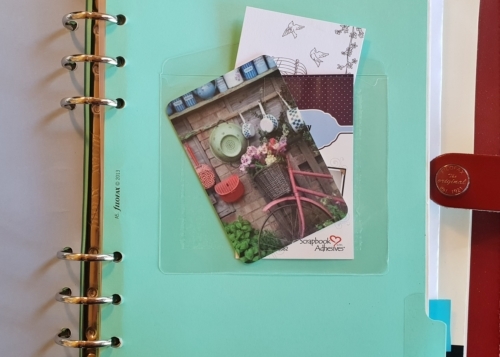 Hi everyone, Christine here today with some tips on using Keepsake Envelopes in your everyday life. I hadn’t realized just how much I relied upon these little treasures. Once you start, you’ll be using them everywhere! What is a Keepsake Envelope? They are clear resealable envelopes with clear permanent adhesive on the back. They are the solution to bulky or hard to adhere items on cards and scrapbook pages. You could use them to store and protect special items, such as a lock of hair, a coin or ticket. But…they can be used for so much more! 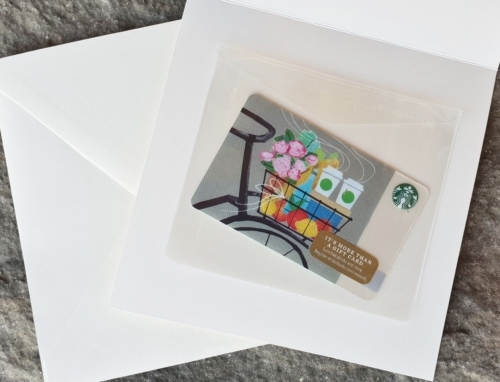 When you send a card and would like to enclose a gift card, check or perhaps a lottery ticket, pop a Keepsake Envelope inside. Each pack comes with multiple sizes, small, medium and large so you’ll definitely find the size you need. Keeping everything safe and organized. 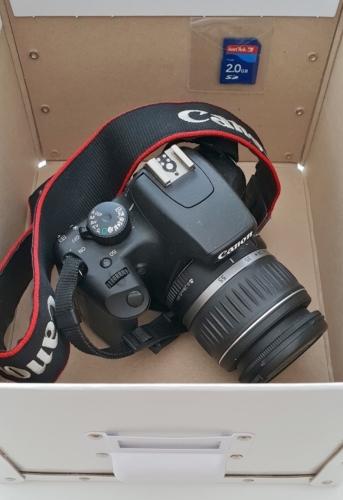 I keep my camera in a box and I like to store a spare SD card there too, it stays safe and visible in a Keepsake Envelope, no more frantic rummaging to find that elusive SD card! Whether you use a planner or a diary, Keepsake Envelopes create that perfect space for storing business cards. I also have another one affixed to a page for keeping receipts and a small one for postage stamps. This is my ultimate favorite suggestion for Keepsake Envelopes. I have one affixed to my car windscreen for holding car parking tickets. 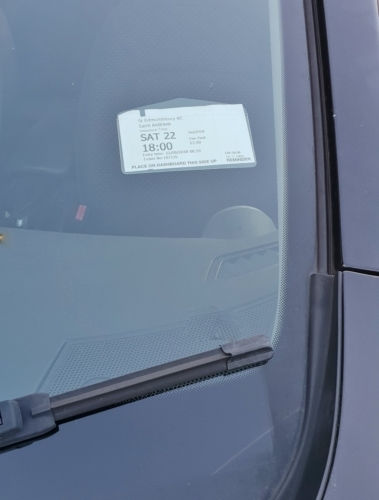 So often the tickets fly away when placed on the dashboard, this keeps them secure and that parking attendant will see it for sure! Think about using Keepsake Envelopes for shaker projects too – makes it truly easy! Thanks for stopping by today and be sure to pop a pack of Keepsake Envelopes in your shopping basket. 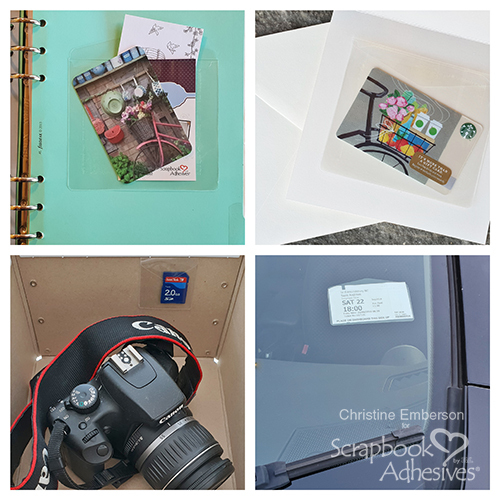 This entry was posted in Adhesives, Keepsake Envelopes, Permanent Adhesive and tagged Christine Emberson, Gift Card Holder, Keepsake Envelopes, Planner. Bookmark the permalink.